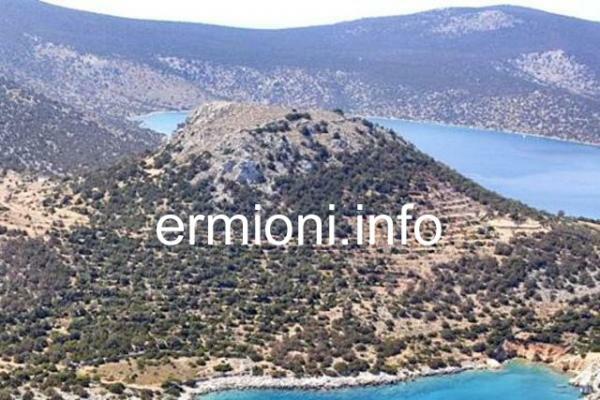 Dokos is a small, 308m high rocky and barren island that is situated opposite Ermioni, between the Argo-Saronic islands of Spetses and Hydra. 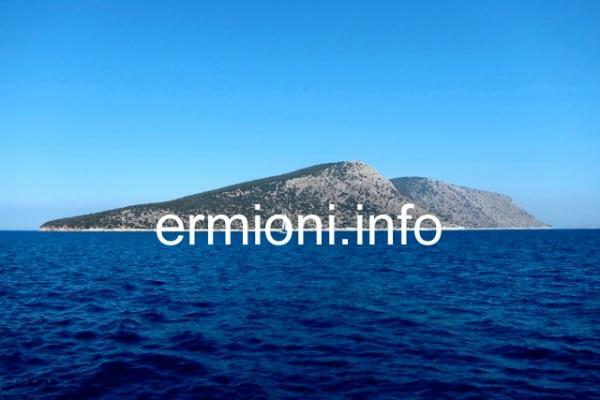 Although a recent 2011 census showed as many as 18 inhabitants on the island, this figure seems to be made up from a few Orthodox monks, shepherds, fishermen and their families that occassionaly live on the island, but little is seen of them by casual visitors. In history, Dokos was occupied during the Mycenaean, Classical, Hellenistic, Byzantine, Frankish and Venetian periods. The ancient Greek name for Dokos was Aperopia. but today it owes its name to the Dokos family of Hydriot ship owners, who owned it at the end of the 18th Century. During the Mycenaean period there were two settlements on Dokos, called Ledeza and Miti Kommeni. 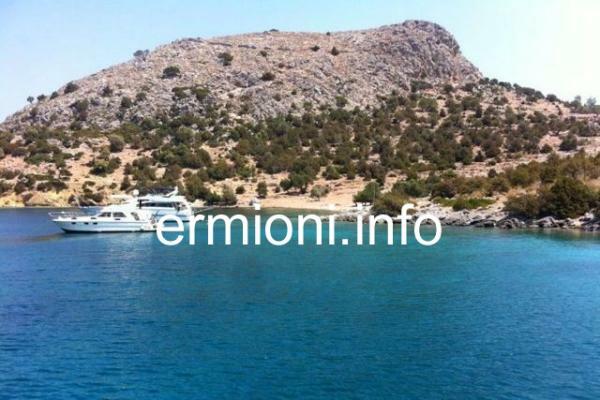 At the Eastern end of the island, on the hill which now has the ruined Byzantine castle, a small village existed with over one hundred houses during the Classical period. Later the Byzantines built the fortified castle, which was extended by the Venetians, on the hill now known as Kastelli, included a number of buildings and a large Byzantine basilica, dating back to the the 7th Century AD. During the Greek War of Independence 1821-1829 against the Ottoman Empire, Skintos Bay on Dokos was used as a safe port by the Hellenic naval fleet of Hydra. Today, many private sailing yachts anchor at the North-Eastern Skintos Bay during the Summer months, as this large bay provides excellent shelter from all strong winds and is ideal for an overnight stay. Skintos Bay has two smaller coves at each side of its entrance, so depending on the wind, you will certainly find a leeward and safe anchorage. 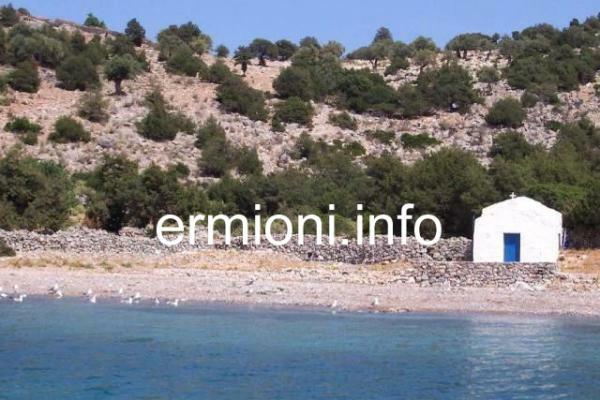 The small chapel of Aghios Nikolaos, which is located on the beach, welcomes you at any time. As there are no excursions or tourist boats that visit the island from Ermioni, this is the only practical way to get to Dokos. 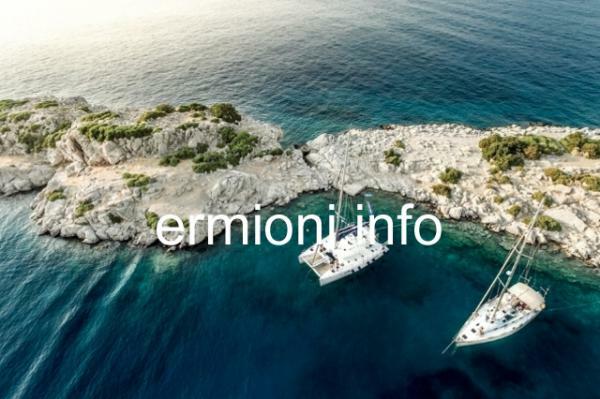 Unless you hire a sailing boat from Poros, or visit the island with a chartered flotilla, you would have to rely on meeting someone with a private boat that may take you there. You might be able to persuade a local fisherman to take you across to Dokos by private arrangement, if he is willing to risk loosing his licence, but please make sure you arrange for him to bring you back as well. 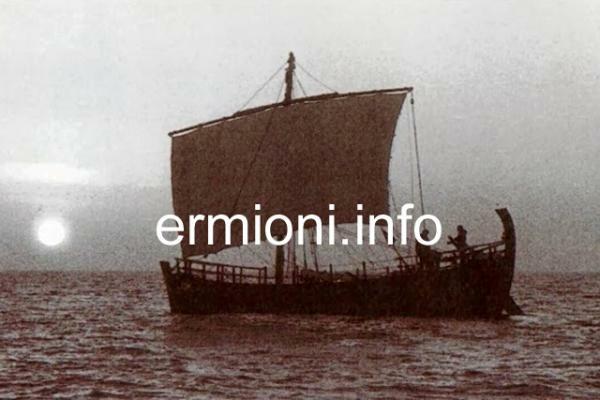 A famous Early-Helladic shipwreck, from the Proto-Helladic period 2700 - 2200 BC and the oldest in the world, was discovered here on 23rd August 1975 by Peter Throckmorton, just off the coast of Dokos, near to the Byzantine castle, at a depth of approximately 20 metres. 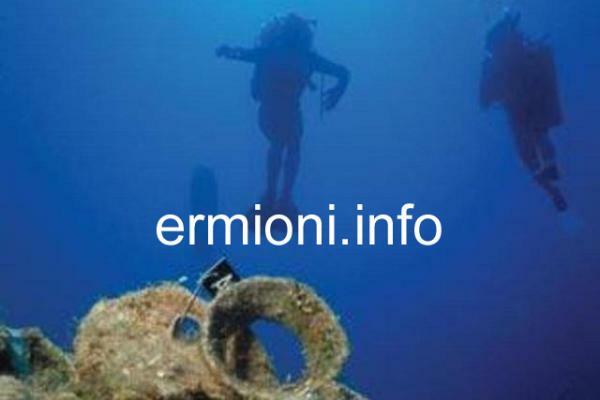 Following two reconnaisance surveys in 1975 and 1977, a full underwater archaeological excavation was carried out from 1989 to 1992, being the first full scale excavation of the ancient wreck using the latest technological methods of the time. The results confirmed the ship and its cargo being dated to around 2200 BC, making it by far the oldest known shipwreck in the whole world. 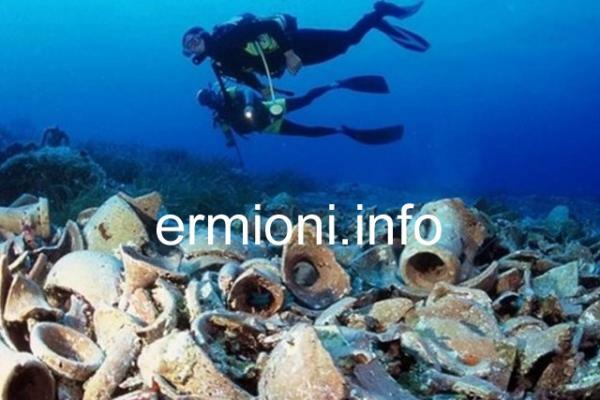 Although the cargo ship itself is long gone, as everthing biodegradable has been taken back by the sea, the excavation site uncovered one of the largest collections of Early Helladic pottery known, which included urns, cups and kitchenware, as this pottery was produced before the invention of the basic pottery wheel. Over 500 clay vases were uncovered with a variety of bowls and sauceboats of different shapes and sizes. There were many amphoras found, as well as basins, jars, braziers, baking trays, pithoi and common household utensils. Stone anchors were also found near the cargo ship wreck, consisting of two large boulders with holes drilled in them, probably dropped before the doomed cargo ship sank to the bottom of the sea. 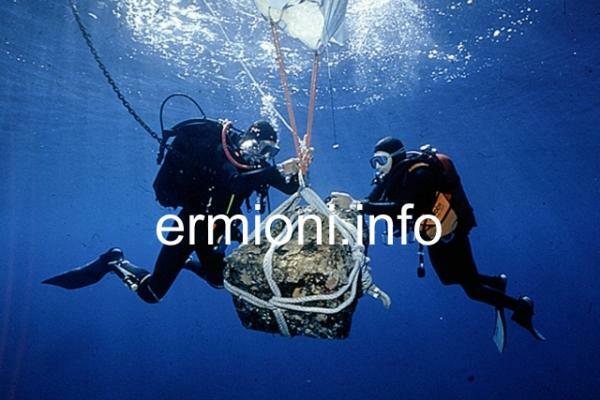 All these artifacts and items were raised from the sea bottom and carefully transported to the Spetses Museum, to be studied and placed into conservation. The oldest Bronze Age shipwreck in the world was discovered by Turkish underwater researchers just off Antalya Province in Southern Turkey in April 2019. 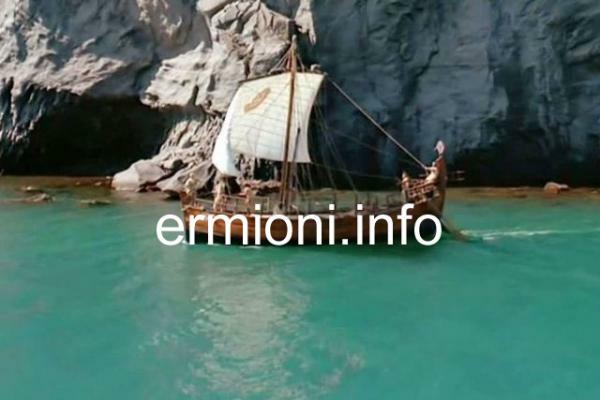 The merchant ship was carrying 1.5 tons of copper bullion from Cyprus, bound for the Aegean Islands or Crete around 1600 BC, when it probably sank in a storm. 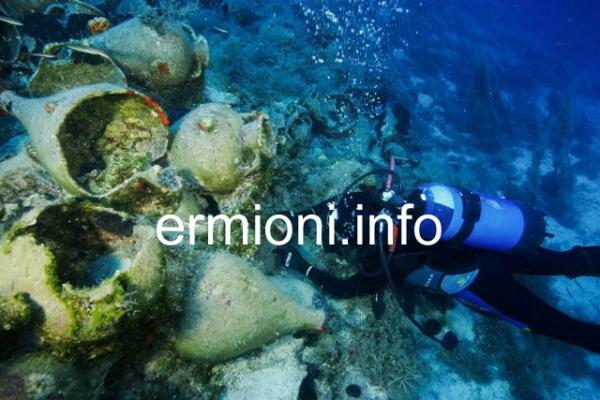 This was approximately 600 years after the Dokos shipwreck. 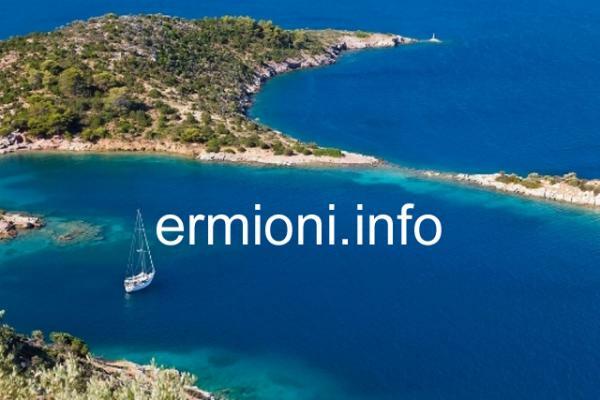 Please note: There are no official boat hire services available within Porto Heli any more, or from Ermioni. Most yachts, sailing boats and flotilla charters are available by booking directly from the Athens/Piraeus or Poros charter companies only.